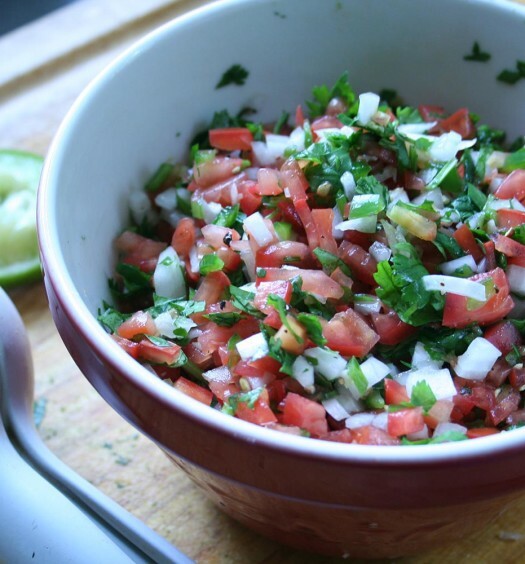 This is a rich, smokey salsa that’s great on tacos. 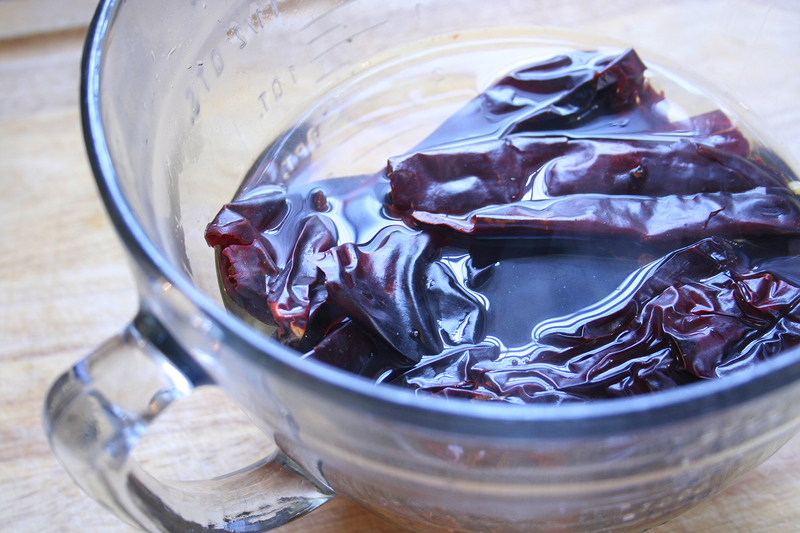 I use dried moritos and guajillo chiles. 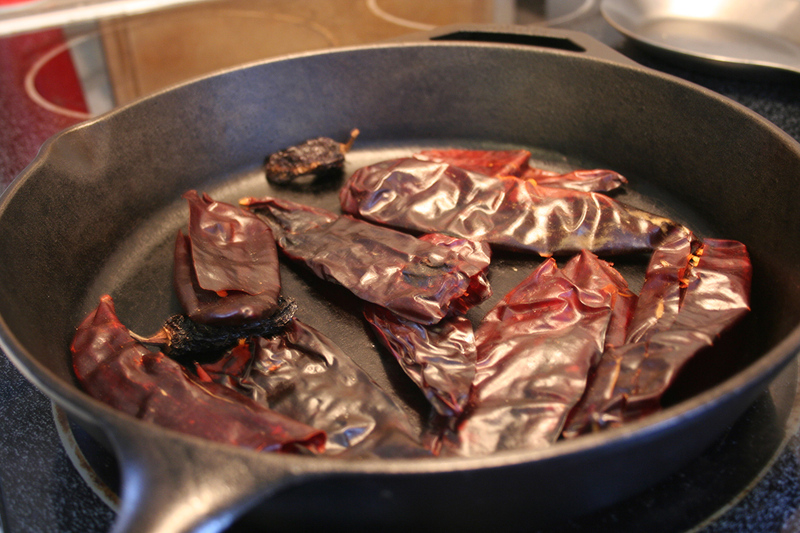 Moritos are smoked and dried jalapeño peppers. 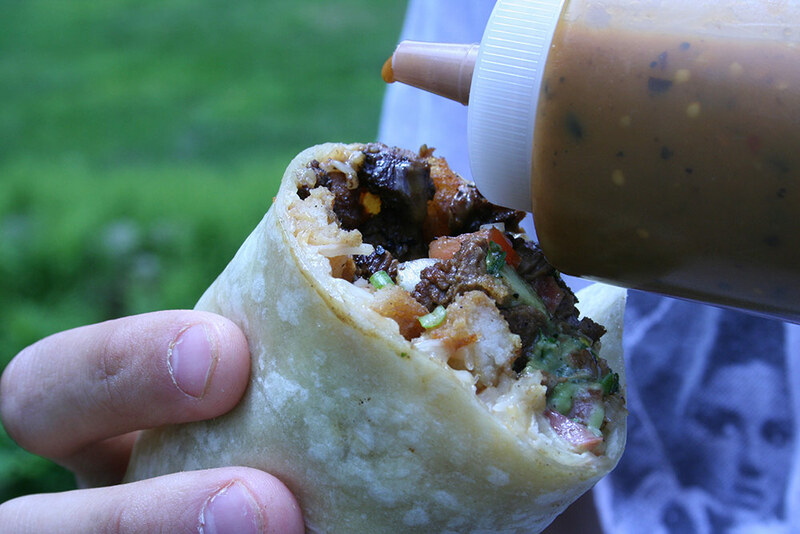 If you don’t want the salsa spicy, you can omit the moritos. I order my dried chile peppers online. You can get them at mexgrocer.com. Heat a heavy bottomed pan over medium heat. Cut open the dried peppers and dump out the seeds. Toast the peppers in the pan for 1-2 minutes stirring occasionally. Make sure not to burn the peppers. 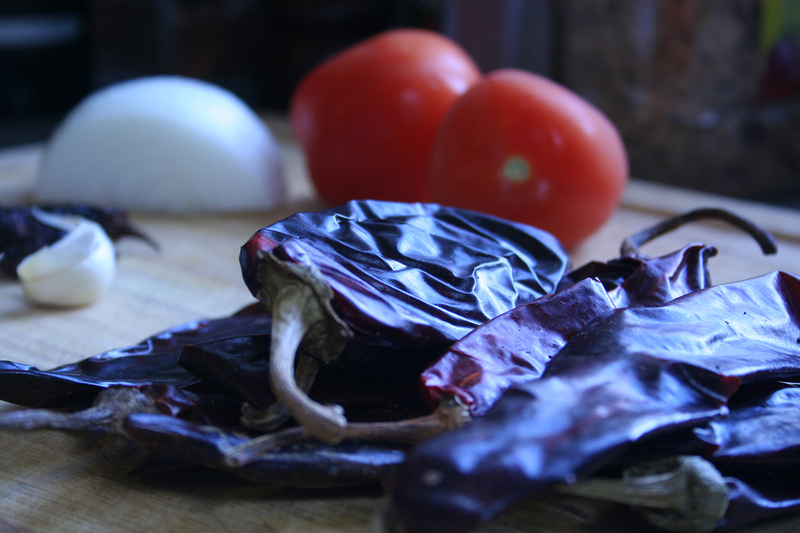 Place the toasted peppers in a bowl and cover with boiling water. Let the peppers soak for 30 minutes. 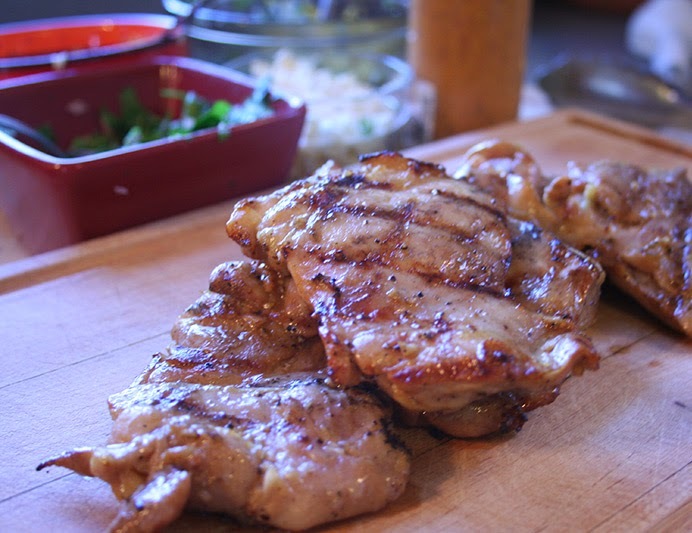 Set the oven to broil and place a rack as close as you can to the top of the oven. 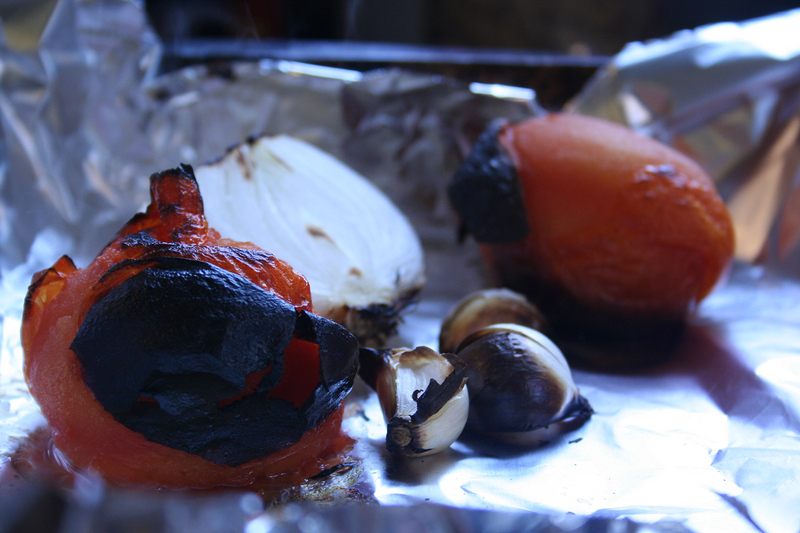 Place the tomatoes and onion on a foil lined baking sheet. Broil for 5 minutes. Flip the tomatoes and onions and add the garlic. Broil for another 4 minutes. Remove from the oven. Once the garlic is cool enough to handle, peel off the skin. 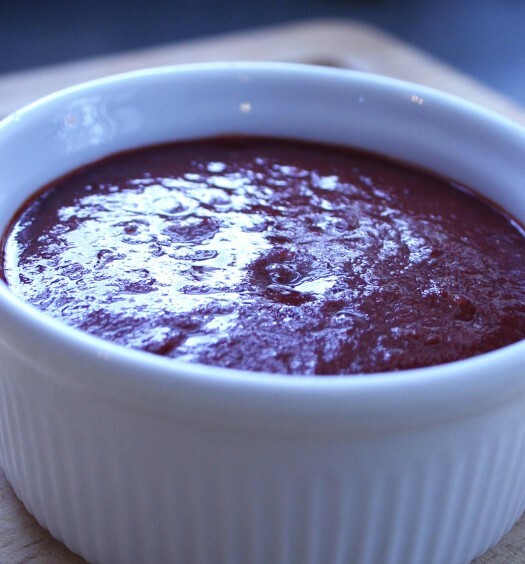 Add the soaked peppers along with 1 cup of the soaking liquid to a blender. Add the roasted vegetables, honey, vinegar and salt to the blender. Blend on high for 2-3 minutes to be sure the peppers are broken down completely. I like to use a blender vs. a food processor. 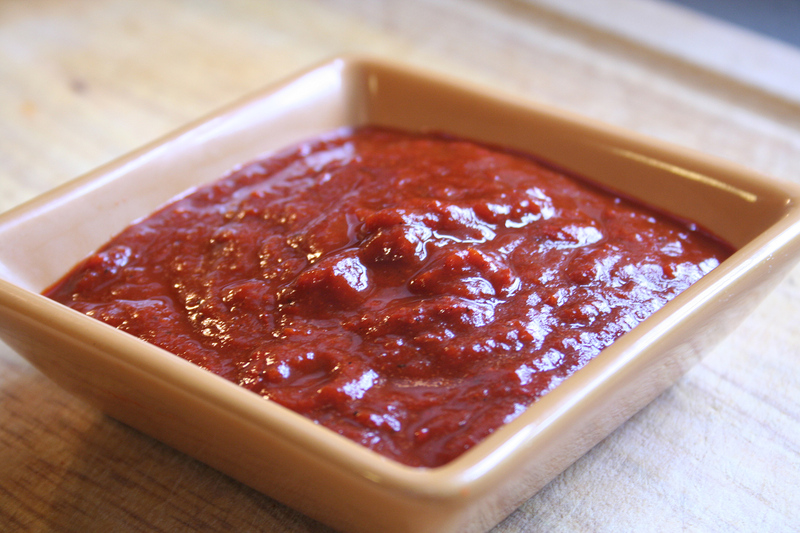 It does a better job of creating a smoother sauce that I can use in a squirt bottle.